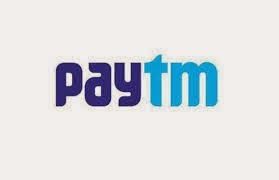 Paytm has announced another great offer for its new users. Now just recharge your mobile with Rs.20 and get cash back of Rs.20. Also you can avail this offer on bill payment of minimum Rs.20. This offer is only for new paytm users so old users this time paytm has got nothing for you. Follow the step by step process in order to take benefit from this offer. First of all download paytm app on your Smartphone. Now just go to your paytm wallet and Add Rs.10. Apply Coupon Code FREE10 to add Rs.10 in wallet for free. You will get Rs.10 in your wallet without any payment. Now start a recharge or bill payment of minimum Rs.20. Pay 10 Rs through your paytm wallet and remaining from debit/credit card/net banking or any other method. That’s it, you will get Rs.20 cash back in your wallet. This offer is only for new paytm users. Minimum recharge amount for this offer is Rs.20. Cash Back will be credited within 24 hours of recharge. So this was all about latest paytm offer. Make a recharge of Rs.20 and grab Rs.20 back in your account. Overall you are going to pay nothing. Grab the deal as soon as possible. If you have any doubt or query then feel free to leave a comment below in the comment section.